"A great base for seeing the Borders." 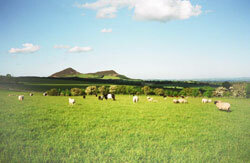 The Scottish Borders offers a wealth of outdoor and rural pursuits to suit everyone&apos;s tastes. Whether you enjoy walking in the hills, fishing for rainbow trout or salmon in nearby rivers, horseriding or simply watching point-to-point racing, you&apos;re sure to find an activity that suits you. And if you are interested in local history and archaeology, there are several museums and local historical sites that display artefacts from Roman times to the Border Reivers. If you are arriving during the summer, you can look forward to experiencing some of the Borders Festivals. From the Common Ridings in Selkirk, Hawick and Lauder to the Braw Lads Gathering in Galashiels and the Beltane in Peebles, many of these fesitvals originated in ancient times and are still celebrated today.